PayDayAllDay launches the ongoing PDAD Scholarship as a tribute to our ambition of promoting borrowing responsibility among Americans. We at PayDayAllDay believe that by providing the top performing students the chance to participate in this competition, our contribution to the well-being of the society will be twofold: on the one hand, the winners will benefit from a decreasing financial burden, and on the other side, they will get financially literate thanks to researching and proposing the right solutions for some of the most stringent financial problems of the American society. A $500 Scholarship will be awarded two times a year and on an ongoing basis from our Scholarship fund, aiming at helping students cover their study-related costs. Full-time enrollment in high school or at least part-time in college, graduate, professional, or trade school. A cumulative GPA of at least 2.8. Before applying for the PDAD Scholarship (referred to as ‘Scholarship’ herein) read all the related information carefully. By submitting your application, you agree to the following terms and conditions. We will not charge the applicant in any way. We are not affiliated with any specific school. Information provided in the scholarship application will be treated as confidential, and will not be shared with third parties. All correspondence between the applicant and the company will be operated via email. When submitting the essay, info-graphic or Video, applicants are required to state their name, address, and phone number. The Essay and Info-graphic must be attached to the E-mail. If the applicant has made a video, the link to the video should be included in the E-mail. The application should contain necessary attachments confirming current or future enrollment at a University. A student may apply more than once in this scholarship contest. The company will select the scholarship recipients at their sole discretion. A Committee consisting of company’s Executives will select the recipients of the scholarship based on the criteria of originality, correctness, and quality of the submitted material. The Winner will be contacted by e-mail within two weeks from the scholarship deadline. The company reserves the right not to grant the scholarship to the winner in case the winner will not reply by the date specified in the company’s message. If the winner declines the scholarship, it can be granted to another applicant of company’s choice. Before receiving the scholarship, the winner will be required to show proof of enrollment or evidence that they have been accepted on an accredited university. Scholarships can be remitted to the school the student attends, based on the information provided by the winner on where at the institution to send the award payment. A student can be awarded this scholarship only once. The applicants must notify the company regarding any changes in his or her contact information that may affect the company’s ability to reach them. The applicant will be disqualified if he or she refuses to present the necessary proof for the eligibility criteria. 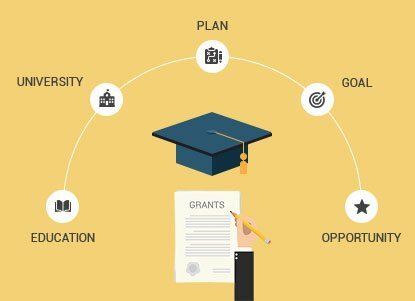 The scholarship can be paid into the winner’s nominated bank account, or by other means, to be discussed between the company and the applicant. The company reserves the right to decide how the payment will be wired and can withdraw the offer of scholarship in case an amicable and realistic payment process cannot be reached. The applicant grant permission to use their photo and a short biography on the company’s site in case of winning, or in case of being selected as a finalist. By applying to this scholarship, the applicants allow the submitted works to be published on the company’s site. All inquiries will be answered within 72 hours from the receipt of the e-mail. The scholarship program (deadlines, requirements, award amounts, etc.) can be changed at company’s discretion. Scholarship program can be canceled at any point at company’s discretion. Choosing a scholarship winner is not an easy task. We get to read many interesting essays. We’d like to mention the following students that have impressed us the most. Ladies and Gentlemen, please meet our Winners!